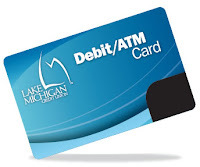 News from LMCU: Debit cards now on demand! Debit cards now on demand! LMCU now has the ability to print your debit card in the branch! No more waiting a week to receive your new debit card in the mail. If your card is ever lost or stolen, you can instantly get a new one, which eliminates the stress and hassle of misplacing a card. These on demand cards differ from our traditional cards in that the numbers are not raised. Other than that, they work the same at any merchant or ATM.